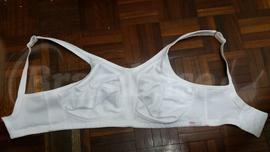 My first attempt at a sports bra doesn't end too disastrously. It does give the pointy look. But at least it does minimize the bounce.